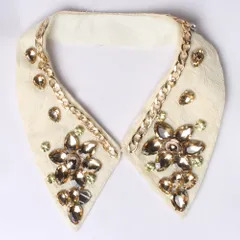 Material: Cotton/Knitted/Faux-Leather/Velvet/Brocade/Net/Adhesive-base/Metallic Style etc. .
Styling Ideas: On the neck of a royal salwar set or a special occasion short top, decorating the neckline of an eclectic kurtha or even on the blouse of a set-saree, on the neckline of a long bridal top or on a regal Karachi kurtha, on a distinctive Patiala top or on an eclectic saree blouse, on a single shoulder as a design feature paired up with one of our bejeweled patch or on the frame of a beautiful dark contrast velvet saree or the body of a indo-western slip dress, along the rims of a sheath design with a skirt or a dress or the borders of a pareo/sarong skirt, any neck-surface of a serene fine design will raise your fashion factor high. 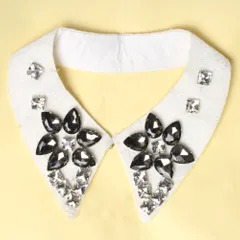 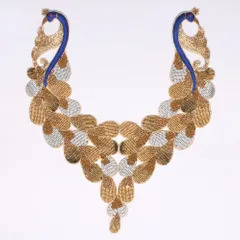 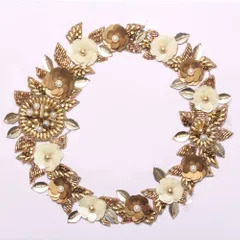 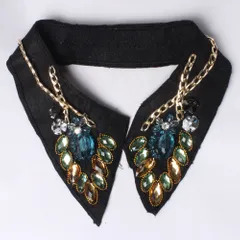 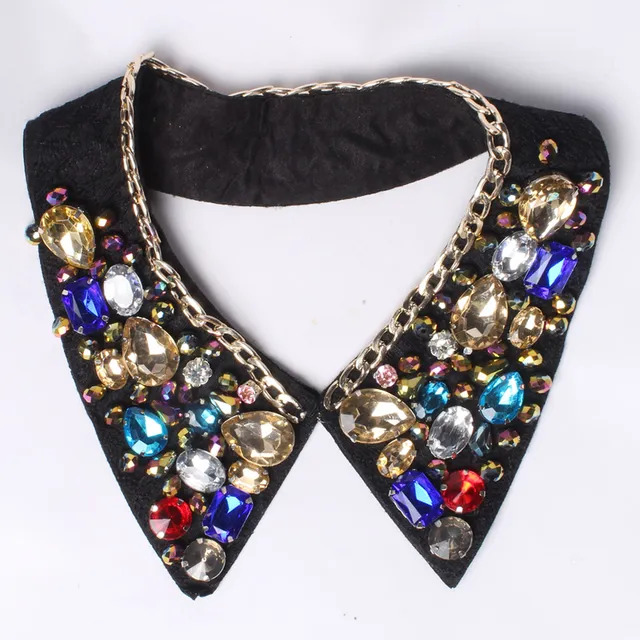 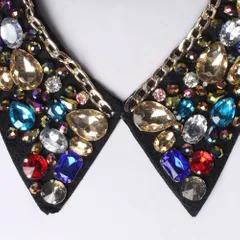 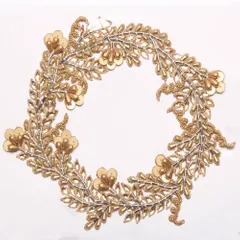 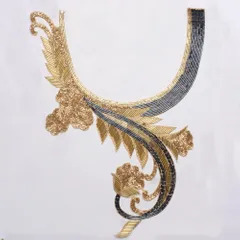 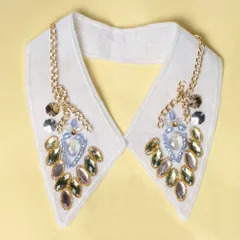 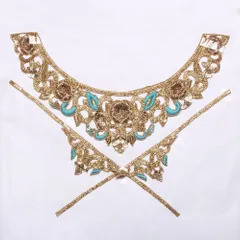 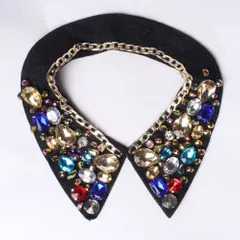 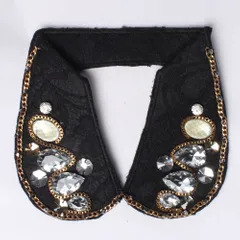 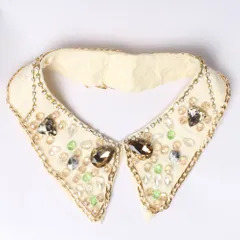 Special Features: Lace look, Stones and ornaments embellished, Leather trimmed, Net like, Applique/Patch look, Necklace style, Easy to use etc.